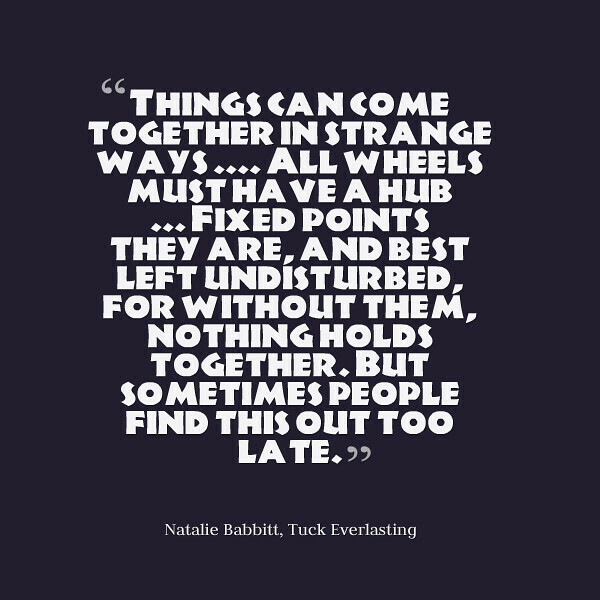 Each year, when I teach Tuck Everlasting by Natalie Babbitt, I make sure to read the first few chapters out loud to my sixth graders. This gives them a feel for the poetic style of writing and allows them to visualize some important elements of the setting. We’re talking about public space and discourse in the Making Learning Connected MOOC this week, and my thoughts keep turning to the Internet, and the concept of the Internet as a Public Space that seems to need constant vigilance. 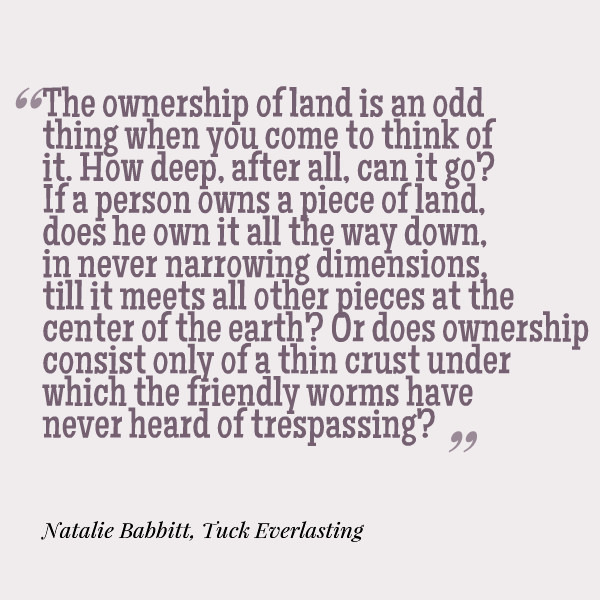 And Babbitt’s observation of who owns the land beneath of our feet — the invisible elements of land that eventually meet together in the center — seems, in my mind, to be pertinent to the discussion of who ultimately owns the Internet — is the corporate world? the governments? or us, the people? 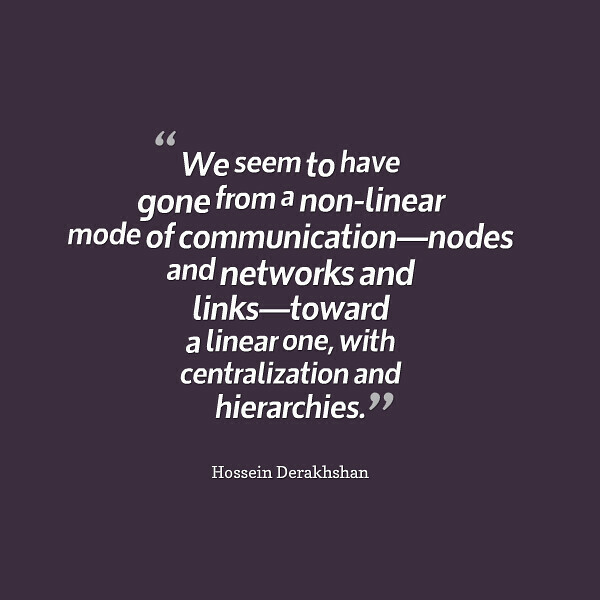 There is a really great and intriguing piece by Iranian activist Hossein Derakhshan that has been published at Medium. It is called The Web We Have to Save. He writes about the changes he notices to the Internet and online discourse since he was freed from Iranian jail. 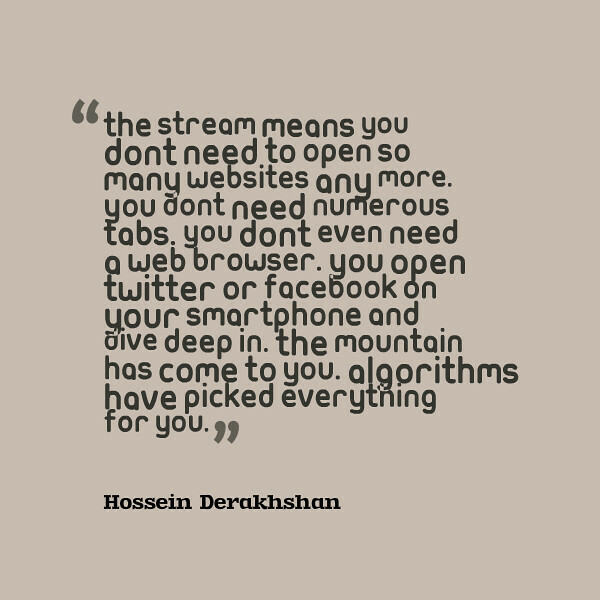 Derakhshan recalls the “blogging revolution” in Iran that began to open up conversations among young people. And he and others took advantage of the Internet infrastructure to share and access information not made available to them otherwise. He notes the shift in agency over the time he was in jail to the time he was out of jail, from participant to viewer of Web activities, in what he calls “the stream” of information that sites like Facebook and Instagram create for you. And it comes back to the theme of the Internet as public sphere and who has agency and who has control and who deems what is important and what is not, and how we will experience it. See the battle over Net Neutrality and the emergence of Open Education (like the CLMOOC, by the way) as examples of how that tension is being played out in the public sphere. I believe the Internet is mine, and yours, and all of ours, and just like that quote from Tuck Everlasting, I believe that our Internets come together as a public sphere, and whether we keep our collective strength together or let companies and corporations monetize and devalue those connections is an important question of our age. I hope I am not naive in my thinking here. I’ll leave you with another piece from Tuck Everlasting that I think also has resonance here. While you could read it as a counter to the idea of openness, I read it more as a call for all of us — the citizens of the Web — to be more vigilant and protective of what we hold near and dear. I am going to keep pushing on this theme this week, and I would love to know your thinking and views and opinions.